Worried About a Runaway Bride (or Groom)? If you are worried about being alone at the altar on your wedding day, then you are going to want to think about more than just the wedding plans! 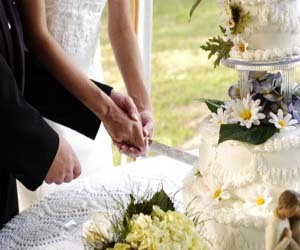 You should consider purchasing wedding insurance. Make sure that runaway bride (or groom) is only running away with your heart, not all the money you spent on the wedding too! Make sure to talk to your insurance agent about wedding insurance in addition to the usual discussions about car, home, life and health insurance. Equifax Personal Finance Blog, wedding insurance can also help in the case of emergencies or other unfortunate situations. However you will find that wedding insurance is about far more than protecting yourself from fickle fiancés. Protect Your Big Day with Wedding Insurance,” Rey describes many instances where weddings may need to be postponed or plans changed at the last minute, resulting in huge unplanned expenses. Illness or injury to the bride, groom or someone in the wedding party; failure of the vendors or venue to follow through on promises, or even an officiate who fails to show could create huge financial problems. How much will the insurance add to your (already high, probably) wedding expenses? Rey says about $125 to $500 invested in insurance can protect a $24,000 wedding. Equifax Personal Finance Blog. After the wedding bells are done ringing, we’d love to know how everything went. Tell us the favorite part of your wedding, and what was the most unexpected!